Whenever two or more people decide to carry on a business together, a partnership is formed. Two types of partnerships may exist: general partnerships and limited liability partnerships. Limited liability partnerships are officially registered with the state, and the partners are not personally liable for the debts of the business. No formal paperwork is required to create a general partnership. Partnerships of either variety have several ways to prove that their business arrangement exists. 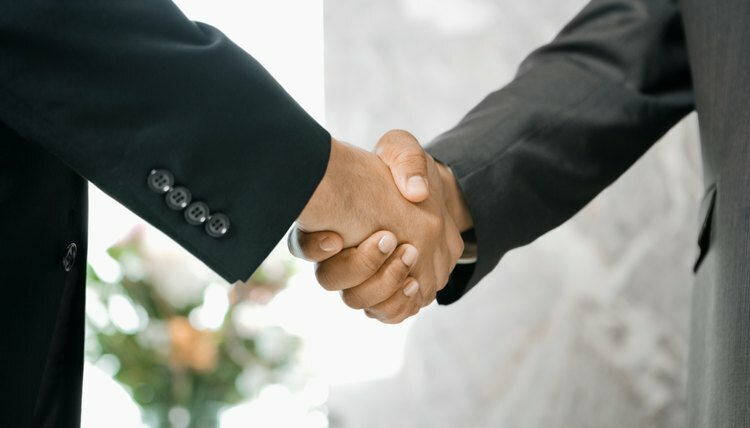 A partnership agreement is a written document that outlines how the partnership is managed, who contributes what assets, and how profits are divided between the partners. It is not a legal requirement in most states, but it may prevent conflict within the partnership down the line. A partnership agreement is considered a legal contract. You may use a partnership agreement to prove the existence of a partnership. To do business under a name other than the names of the partners, register a "fictitious" or "doing business as" name. Depending on the laws of your state, you may file this with the secretary of state or a county clerk where you are doing business. The fictitious-name certificate will demonstrate when the partnership came into existence. On an annual basis, partnerships must furnish copies of Schedule K-1 (Form 1065) to each partner. Schedule K-1 will list each partner's share of the profits, losses and liabilities. Every partner will use Schedule K-1 on her personal tax return. Schedule K-1 may be used to prove the annual income or loss of the partnership for every year of its existence. Some states, such as New Hampshire, allow partnerships to file a Certificate of Partnership Authority. In most states, the application will include your partnership agreement. Filing the certificate will prove the existence of your partnership, and will also put the partnership agreement in the state's file. Having the partnership agreement registered may help the partnership avoid conflict in the future. A limited liability partnership is a formal business entity where the partners are not personally liable for the debts of the business. This means that if the partnership is sued, the individual partners will not have their personal assets on the line. To file for a limited liability partnership, generally you must file articles of incorporation with the secretary of state in the state where your business is located. There is usually a filing fee to submit the articles, and some states have additional business entity taxes for limited liability partnerships. By showing the filed articles of incorporation, you will prove that a partnership exists.